The production of alcoholic beverages is not new. The truth is it has been part of human culture for many centuries. Archaeologists discovered jugs suggesting that people during the Neolithic period intentionally fermented beverages. From the chemical analysis, archaeologists confirmed that the jugs were used to ferment drink made of grapes, honey, and rice. Fast forward to the future, the mass production of alcoholic beverages and 24HrDrinks paved the way for mass consumption. Drinking alcohol in modest amounts can benefit your body. 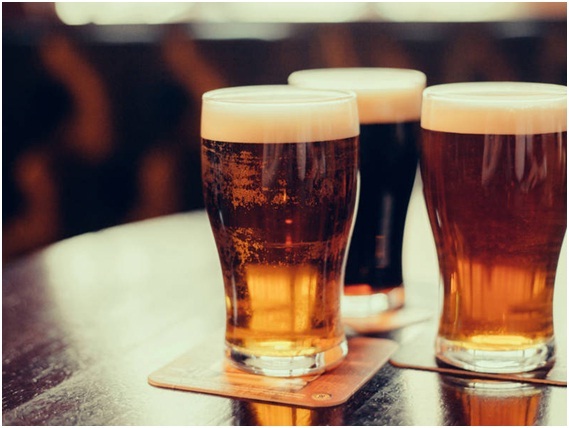 A study conducted by Harvard University’s School of Public Health stated that moderate amounts of alcohol could, in fact, raise levels of HDL (High-Density Lipoprotein) or “good cholesterol”. Keep in mind that higher HDL levels mean greater protection against heart disease. However, consuming too much alcohol is disastrous for the health. On top of that, it is addictive leading to alcoholism for susceptible individuals. With this, it is always prudent to drink moderately. Moderate means one drink a day for healthy adult women while men can enjoy up to two drinks a day. this, it has a light color and mild taste. • Wheat beers: these are made from wheat and barley. This bear is popular in Europe because of its distinctive taste. • Fruit beers: adding other flavored extracts rather than fermenting the fruit makes these beers. taste is more complex compared to white wine. • White wine: this is made from white grapes. It has a lighter taste compared to red and rose wine. • Champagne: this is also called sparkling wine. The bubbles you see are the result of the fermentation process. • Fortified wine: distilled beverage is added to make it stronger. Fortified wines are popular because they can be transported easily around the world by ship. • Vodka: this is made from the distillation of potatoes or grains. • Whiskey: this is created from grain mash fermentation. • Rum: this is made from sugarcane juice. • Tequila: this is created from a blue agave plant. • Gin: this is made from juniper berries. • Absinthe: this is created from different flowers. flowers, herbs, fruits and many more.